For eight years, I have joined my colleagues in the fight to repeal and replace the train wreck that is Obamacare. This was the call heard around the nation for years, particularly leading up to President Trump's historic victory. We promised the American people that if they supported us, help would be on the way. As a conservative, I believe that the federal government should have a limited role in our personal lives, including health care. As a cancer patient, I knew the importance of getting this bill right and replacing Obamacare with a patient-centered solution that also ensures access to care for the nearly 30 percent of Americans with pre-existing conditions. But as the American Health Care Act teetered on the edge of a cliff, it was the Freedom Caucus that helped give it the final push. A little history. The truth is that while most Americans had no idea what the Freedom Caucus was until a few weeks ago when it became the official opposition to the Obamacare replacement plan, this group has quietly existed for a while. Two years ago, the most conservative members of the House – myself included – banded together to force leadership to give conservatives a seat at the table when negotiating major legislation. Our goal was to advance the most conservative agenda possible in Congress and give a voice to our constituents who felt that they did not have one. Until this year, we faced a president who opposed everything we stood for, and a leadership that excluded us. This year, that changed. From start to finish, Speaker Ryan has gone out of his way to be inclusive, and President Trump literally brought us to the table, listening to our concerns, agreeing to some of the group’s demands, and changing the bill to be more conservative. The caucus asked for major concessions, and the bill was changed to include some of them. At a meeting at the White House, the president even agreed to change what is considered Essential Health Benefits by amending the bill to allow states to make that decision. But the goalpost kept moving further and further down the field. It became clear to me that no matter what was included and changed, the answer would still be no. That’s why I left the Freedom Caucus even though I agree with them on most issues and consider them my friends. The bill wasn’t perfect – no piece of legislation is – but it was absolutely far better than Obamacare. Like it or not, the reality of the makeup of the House and Senate is that if you demand a purist repeal of Obamacare, it will die on the floor. This was our chance to make meaningful change. The Freedom Caucus served as a check on a liberal administration and former House leadership that repeatedly compromised with Democrats. Times have changed. Republicans – mostly conservatives – control it all now. It is our time to lead. It is our time to unify and deliver on the promises that we made for years. Those calling for otherwise have been in Washington long enough to know that you do not get everything you want in any bill. We can no longer allow the perfect to be the enemy of the good. 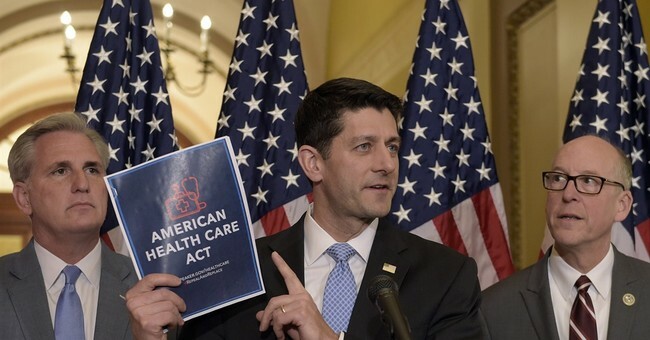 The American Health Care Act included major conservative reforms. It would have repealed the individual and employer mandates, reduced taxes, expanded health savings accounts, ensured access to coverage for those with pre-existing conditions, and allowed young adults to stay on their parents’ plan. It would have also defunded Planned Parenthood. Overall, this bill would have accomplished much of what we have been seeking all along, and the administration had committed to push forward what couldn’t be done in this bill separately. I want to be part of the conservative majority that delivers solutions. Americans voted for solutions. Americans voted for help to make their lives easier and more affordable. We must give them the solutions they demand, that they deserve, and that we promised. I am encouraged that conversations have restarted within the House Republican Conference, and I hope that we can all get on the same page in the hymnal and produce a bill that delivers on our promise to the American people.